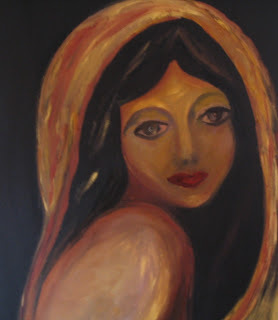 The modern day woman is faced with incredible challenges of re-discovering the Goddess within. Finding the goddess within really means to uncover your true authentic feminine self, as well as finding your inner male. A huge challenge in any age and society, but particularly emerging now. Women have been subjected to and battled against a patriarchal society based on masculine, materialistic values for at least the past two thousand years. Many experts quote four thousand years and up to ten thousand years! Very few women regard themselves or their lives in mythical terms. In our modern rational age these myths have been relegated to the world of fantasy and they have been devalued as mere stories. The ancient myths, be it Greco-Roman, Celtic, Arthurian or from any ancient cultures, all share gods, goddesses and themes. In Pagan times these myths were seen as sacred stories and today (post Jung) they can be regarded as archetypal stories, depicting humanity’s psychological world. Myths are in fact sacred mirrors reflecting our soul journeys, acting as guides for the inner soul world. With the onset of patriarchy the goddesses in the Greco-Roman pantheon were toppled and replaced with male gods. The powerful attributes of the Goddesses were all integrated into and claimed by the male gods, leaving pale versions of the original Goddesses behind. All the great mythical tales and even the fairy tales (a powerful mirror and guide of our society’s and our inner lives) are told from the male point of view. It is always the knights and princes setting out on exciting adventures, and who meet the challenges. The women are mainly depicted as either helpless princesses locked up in castles, or awful hags or wicked stepmothers. But in this lies an important clue and key for modern women. It is to accept and understand that a woman’s journey is indeed different to that of a man. The man already contains the masculine and he has to move inward toward freeing his princess or goddess which symbolize our loving, compassionate self. The woman, on the other hand, has to set herself free from the imprisoning tower and move outward. She has to uncover her passion, her fire and her inner strength, without turning into the wicked stepmother or old hag. In our modern western patriarchal society women have been conditioned and trained to emulate men and male desires. Women have learnt that the power lies in the hands of the powerful male and in order to share in the power, they need to surrender to male values. This is exactly the conundrum of the modern woman : she no longer knows what she desires, nor does she believe that her true feminine self has value. When you are not in touch with your true desires and the desire of your soul, you cannot find your passion and inner fire. Women are then forced to act from an assumed masculine self, from a false self or it has also been called a false ego-animus. Modern women do not want to ‘burn the bra’ of the feminist movement in the Sixties, but she does want to be treated as an equal and respected for her intellectual abilities as well. The danger for the modern woman is that the true feminine aspects of herself might get lost in the process of ‘proving herself equal’. The goddess always appear in her triple self in myths and fairytales. She has three aspects Maiden, Mother and Crone. All three of these roles are honoured in women and in their lives from a feminine perspective. The Maiden is the so-called virgin, a woman onto herself. This does not mean that she is sexually a virgin, but that she is independent and free from a false ego personality. The Mother is the mother of the family, the community and nature and the Crone is the Wise Old Woman who is revered in her old age for her wisdom, her grey hair and her knowledge of the ways of life. All of the goddess myths are still relevant today. Their stories are still our stories, their joys and sorrows the same as ours. A very relevant goddess today is the maiden Athena. She is the daughter born from the head of her father, Zeus. She was born fully grown and dressed in full armour. Being born from her father, depicts our patriarchal society based on male, materialistic values. Her maturity at birth and also the fact that she is wearing armour, shows that she did not have the luxury of a childhood. It also points to her control over her emotional nature, something which has traditionally been classified as hysterical and messy. She truly depicts the emotional pain of modern women, conditioned and raised in a patriarchal world that does not value the feminine psyche. 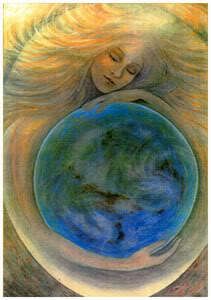 A mother goddess would be Gaia, the Greek goddess for Mother Earth. Our ecological and environmental condition clearly shows the lack of respect and reverence for this goddess. Modern women need to incorporate her passion, her desire, her need to find her authentic self and her soul. In other words, women need to find the goddess within. These myths are larger than life stories which can guide us to find our true selves. She is facing the challenge of finding balance in all her selves and in her many faceted roles. Many women are balancing a career with a home life. Others are journeying towards speaking their truth, experiencing their emotions, while staying in a successful relationship at the same time. The Triple Goddess Bridgid from the Celtic mythical tales, encompasses all these roles. She is a Fire goddess, symbolizing the rolling green hills of the Celtic world. She is maiden, mother and crone. She is fierce and protective, she is patron of healing, fertility, midwives, art, poetry and blacksmithing. She is also goddess of war and she lights the fires in the hearth. She therefore balances both masculine and feminine, a true ideal for women. So very true! "Women who run with the wolves" is still a wonderful classic for women who are seeking this healing. By simply reading it, one allows the wholing process to begin. By author Clarissa Pinkola Estes.